[vid] How the CIA was hijacked by the Nazis and their supporters in Corporate America From the book "America's Nazi Secret"
"The juxtaposition of all these sources--the new German documents, Justice Department records, the IBM files and eyewitness sources--indicates it was not just trading with the enemy...This is the proof that IBM enabled the Holocaust. The connection to New York is now proven." 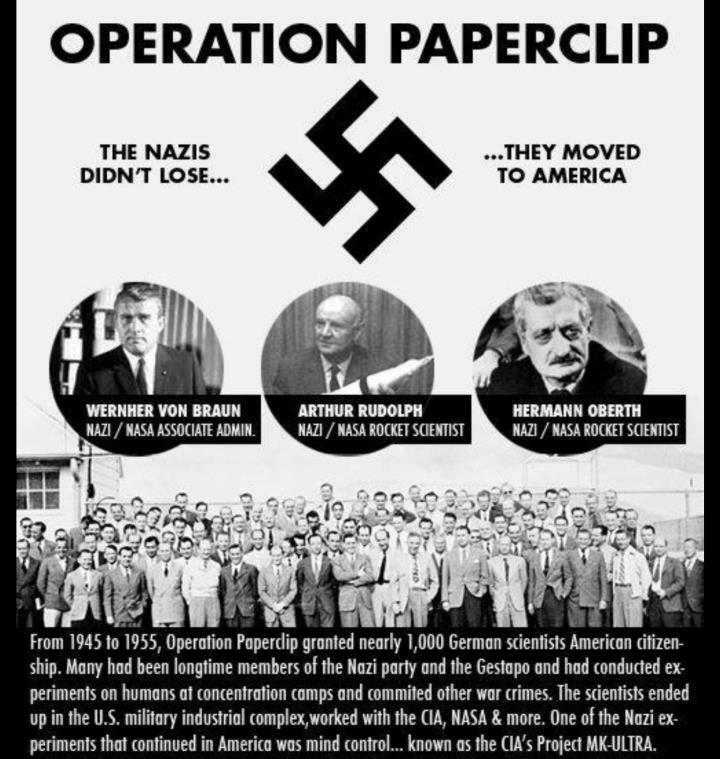 Project Paperclip: Nazi Scientists Who Performed Human Experimentation in the U. S.
Some Aspects of Anti-Personnel Electromagnetic Weapons Synopsis prepared for the ICRC Symposium The Medical Profession and the Effects of Weapons by David G. Guyatt. Part 1 includes a description of mind control experiments by scientists involved in Project Paperclip. From Parascope. WR Grace Consultant Otto Ambros memo by Ambros describing problems he was having at Auschwitz. Provided by Dr. David Egilman, Brown University. Page also contains links to other pages by Egilman on Ambros and W. R. Grace Co.
Last update: February 10, 1998. The original Project Paperclip Team at Fort Bliss in White Sands, New Mexico.